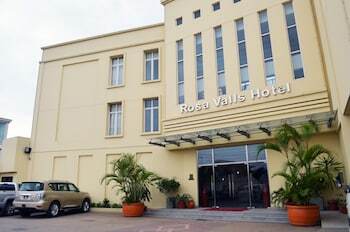 When you stay at Rosa Valls Hotel in Luanda, you'll be 9 minutes by car from Talatona Convention Centre. Featured amenities include a 24-hour business center, complimentary newspapers in the lobby, and dry cleaning/laundry services. Event facilities at this hotel consist of a conference center and meeting rooms. A shuttle from the hotel to the airport is provided for a surcharge (available 24 hours), and free self parking is available onsite.